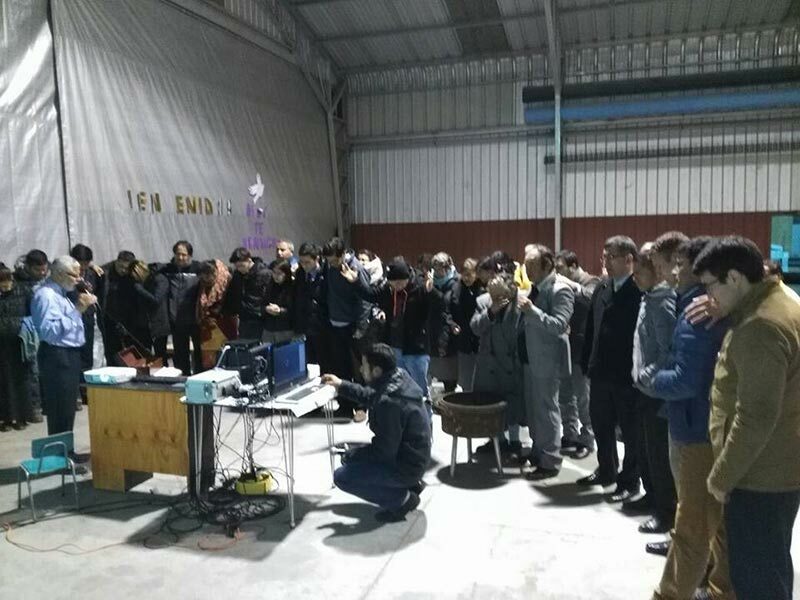 We share with very poor brothers and together we go out to work, attending to the needy, preaching aloud, singing at midnight carrying a sample of the great love of God. We met a young boy engrossed in drugs and saw him interested in the things of God, he began to accompany us in our work of evangelism and in farewell we embraced his wife and children and prayed for them. The next day the police went to him to serve a one-year and eight-month sentence for past crimes. How sad when I received the news, but God says, “Leave everything in my hands” we began to pray and how great was the joy of knowing the next day, that he was released. God can do with each one of those who put their faith on Him. How many are slaves of the devil in eternal jails, but God delivers the captive. 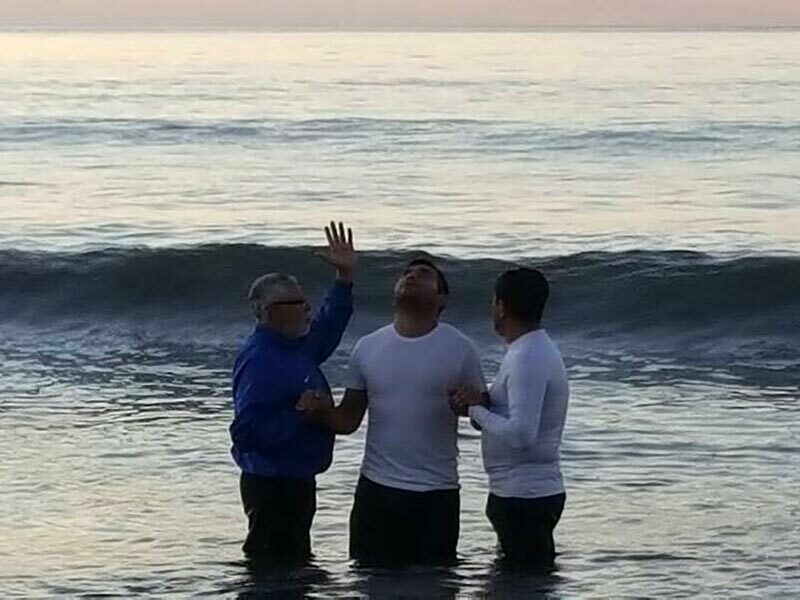 Glory to God, I traveled to Santiago and I have been sharing with many brothers, God has taken me to different homes and He has been healing, blessing, doing mercy. We were preaching the gospel to very poor people, others with addictions or diseases, but at the arrival of the gospel, the love of God was manifesting itself in joy, peace, healing, wonders. We met Brother Juan, an old man whom God reached with his power, sitting in an armchair with his leg raised, unable to see how God was calling him. In that place we saw the glory of God. Today doctors have no explanation of what happened to him. Glory to God, Christ has come to give life and life in abundance! 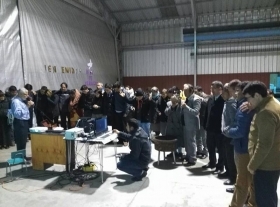 We shared with very poor brethren and together with them we went out to work, attending to the needy, preaching aloud, singing at midnight carrying some of the great love of God. 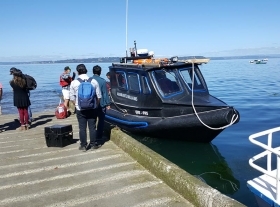 We met a young man immersed in drugs and we saw him interested in the things of God. 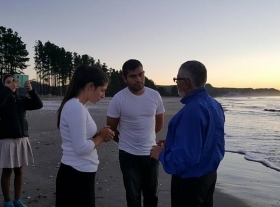 He began to join us in our evangelism work and when we said goodbye we embraced his wife and children and prayed for them. The next day the police arrested him to serve a one-year and eight-month sentence for past crimes. How sad when I received the news, but God says, “Leave everything in my hands.” We began to pray and what great joy when we learned the next day that he had been released. He can do the same with those that are slaves of the devil in eternal jails. God releases the captive. Today I started my journey south, about 600 miles from the capital. Waiting for God to lead me to the place where He wants me to work. Preaching Christ is our mission and to make Him known in the midst of a land that constantly trembles, that only Christ is the only unmovable rock of the centuries. In Him our faith is anchored and if He is with us, we will not fear evil. April 26, I began to share with my brothers from the province of Arauco, also receiving the blessing of meeting a group of sisters who came to visit the church there from Neuquén Argentina, glory to God for seeing again the pastor Hector Sobarzo, a Missionary friend with whom we worked in 2003 in Costa Rica. Meetings and evangelism was a wonderful thing that attracted many in need to hear the voice of God. While I was preaching a morning in Llico, I remember that we arrived at a place where there was a truck carrying a big speaker that bought old iron and metals, I approached the driver and asked him if he could use his microphone and thank God authorized me and I was able to preach with amplified voice the gospel in that place. On the 1st of May, I left for Chiloé Island, traveling from the morning to reach Dalcahue at approximately 10:00 p.m. Thank God, He kept me on the road and I could share with the brothers in that place, it was a rainy day, but just as God allowed me to preach the gospel and meet new people to deliver the good news of salvation. Great wonders God allowed me to live in this place of great need. We met Eric and his family from Kansas, US with his wife and four children. 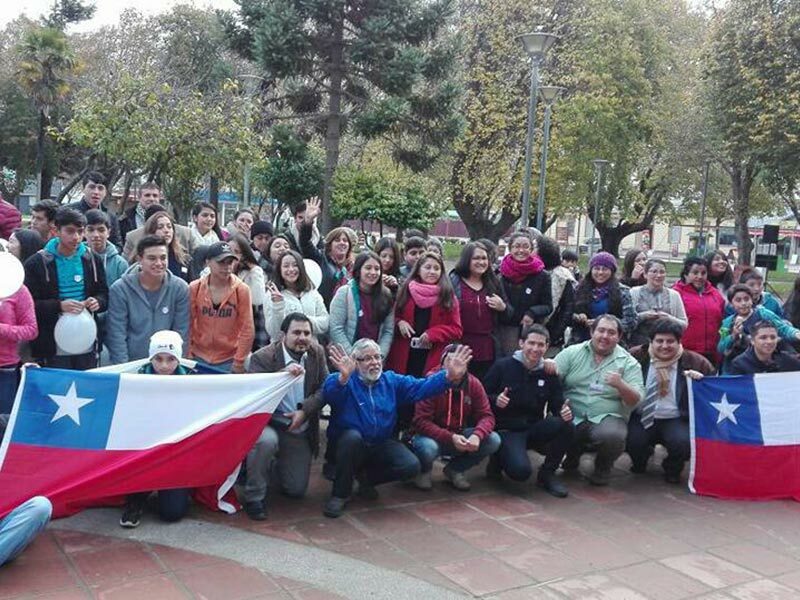 Wonderful meeting where we learned a lot about him and his call to work in Chiloé. Our last meeting on May 7th we invited all our new brothers and sisters to a special meeting where we also participated in the sacrament, about 25 brothers sharing the blessing of God, we also met a marriage of the island Quinchao, Brother Eduardo and Sister Blanca. I returned to Arauco to participate in a youth conference “Youth with a Purpose” in Curaquilla, where we gathered around seven churches with the desire to learn more about Evangelism. 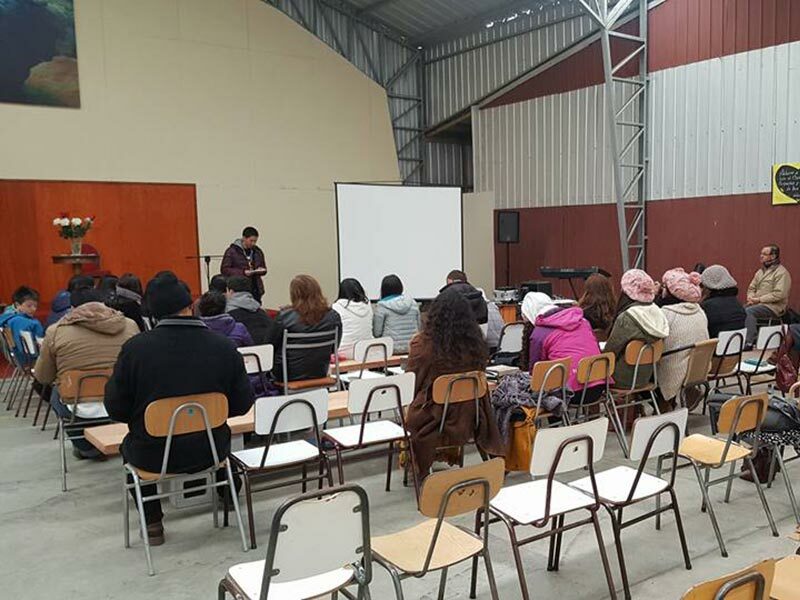 The issues of purposeful lives and overcoming your own self, were of significant impact for the youth who attended the event, we could see the glory of God in the teachings, preaching, meeting in the main square of Arauco and the sermons of the word of God. 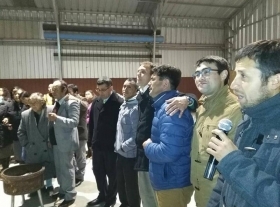 We could thank God for the experiences and testimonies of missions with brothers from Santiago, Viña del Mar, Valparaiso, Cerro Verde, Puerto Montt, Llico and Yungay. 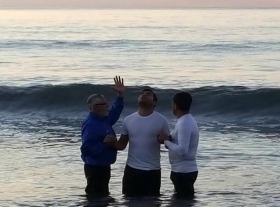 Also, at 6:00 p.m., we performed the Christian baptism of our brother Paolo and our sister Katherine, in Curaquilla, province of Arauco, for the glory of God. Glory to God for enjoying the love of my brothers, for witnessing the great love of God rescuing the lost, poor, sad people without God, who today participate with other brothers to sing and hear the word of God. 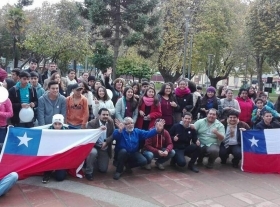 I left for Santiago on the 25th at night from Arauco to participate in meetings in Viña del Mar, Quillota and Santiago. God bless this work done in his name, God has provided until this day, I left for the United States on May 31. To God all honor, glory and praise. I beg for your prayers to continue advancing this glorious work. I thank Messiah Missions, and all the brothers who pray for us and help us make it possible for the Holy Gospel to be announced to those who have not yet received it. 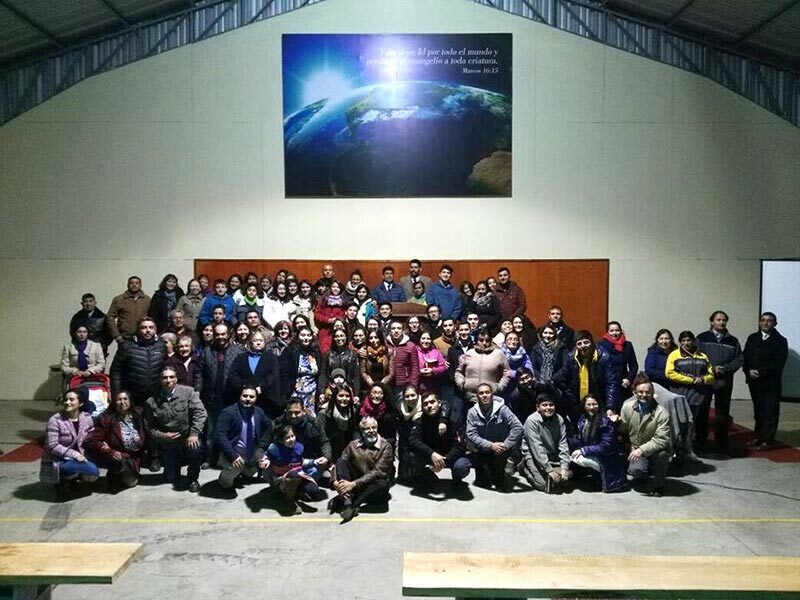 We have begun preparing to work from August 26 to October 8, from Iquique, Antofagasta, Cochamó, Chiloé Archipelago, Puerto Montt, Yungay, Curaquilla, Santiago and Quillota, more than a month of evangelism preaching the Holy Gospel and calling the souls to Christ Jesus. We pray to God to provide everything necessary for our journey, amen.